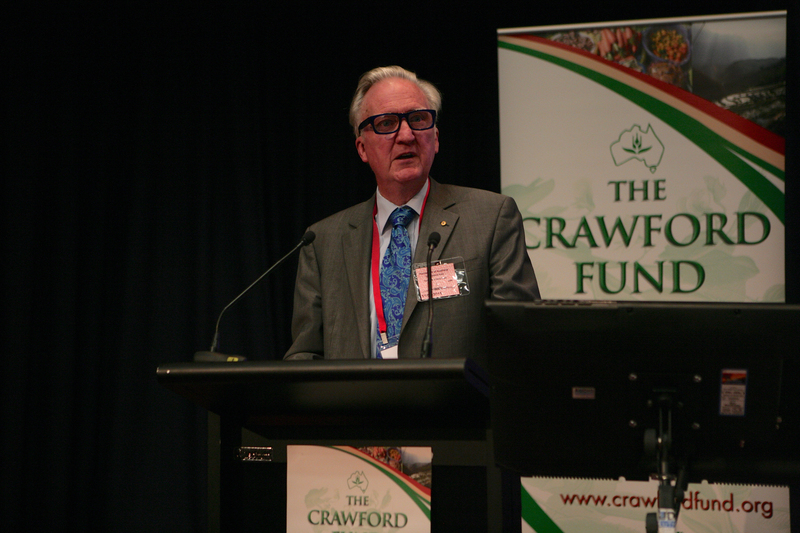 Our annual conference “The Business of Food Security” was held in Canberra on 10-12 August. Here our Chief Executive, Dr Denis Blight, provides his own personal interpretation of the conclusions and discussion at the event. It has been prepared in an attempt to capture the main conclusions of the Parliamentary Conference and to stimulate further discussion about the issues. Please email your comments to Crawford@crawfordfund.org. Any comments and views about omissions will be taken into account in the formal proceedings for the event, which we hope to have published by the end of the year. As Denis concludes, the Fund expresses its deep appreciation for its sponsors, conference speakers and registrants, without whom the Conference would not have been possible.